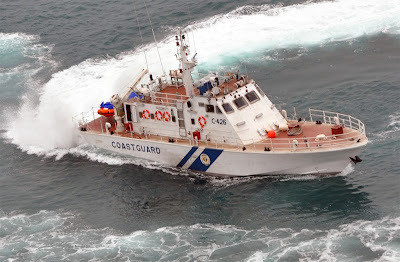 The Indian Coast Guard commissioned an Interceptor Boat (IB) for close-coast patrolling along the Odisha and West Bengal coast at Paradip, on Thursday. Odisha Chief Secretary, Shri Jugal Kishore Mahapatra, commissioned the new vessel. Inspector General KC Pande, Commander Coast Guard Region (North East) and other civil and military dignitaries were also present at the ceremony. The 28 meter long vessel displaces 90 tonnes and can achieve a maximum speed of 45 knots, with an endurance of 500 nautical miles at an economical speed of 25 knots.